Most of our childhood was regaled with Mowgli’s adventure in the jungle. 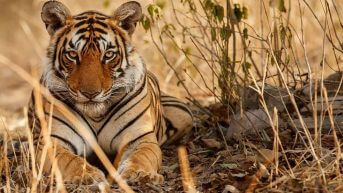 It’s interesting to know that Rudyard Kipling chose Pench National Park in Madhya Pradesh for all of Mowgli’s exploits, including the feared Sher Khan. 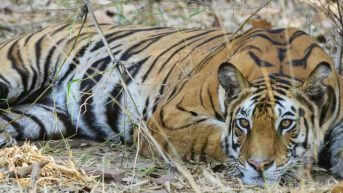 The park is also home to “Collarwali”, the most famous tigress in Central India who captured worldwide attention when she gave birth to a record 26 cub since 2008. 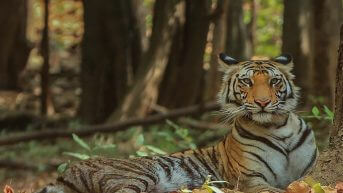 Located in the southern ranges of the Satpura, Pench National Park is one of the most visited national parks in India. Divided into two parts by the River Pench, its home to 4 species of the endangered vultures. Besides being a part of Project Tiger since 1992, it houses more than 285 resident and migratory birds. Some of the famous birds in Pench National Park are Oriental Magpie, spotted dove, white throated kingfisher and red wattled lapwing. If leopards have fascinated you, then you will have the chance of spotting them that too in large numbers here. The sight of the sly jackal and the shy Indian wolf evokes a variety of responses from onlookers, from surprise to amusement. Other mammals which you can expect to see are gray langur, rhesus macaque, hyena and chital. During the course of your visit in Pench National Park, you will realize that there could be no better setting for Mowgli and his exploits! Pench National Park has a dry deciduous type of vegetation, with some of the dominant trees being teak, palash, mahua and neem. Shrubs and large grassy patches of land are also a part of its vegetation. 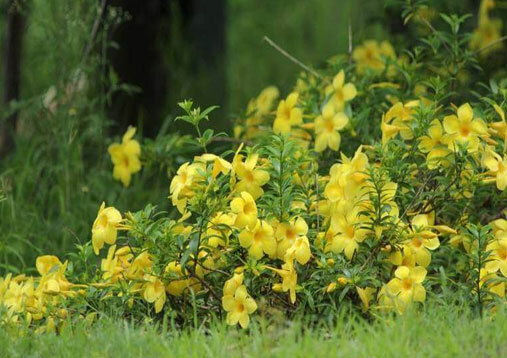 Besides these, you will also come across various kinds of herbs possessing medicinal properties. Some of these are sarpgandha, satavar and ashwagandha. 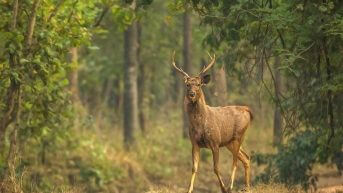 Pench is also home to an incredible variety of fauna. Besides 285 resident and migratory birds, over 4 species of endangered vultures are also found in the park. Leopards too, are present in impressive numbers. Spotting birds like the kingfisher and Indian Pitta (also known as Navranga) is sure to make your day! 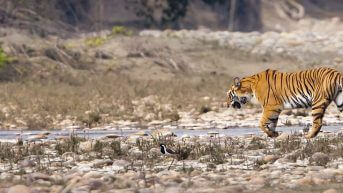 Safari timings in Pench National Park are decided according to the seasons. From October to November, safaris are conducted from 6:00 to 10:00 AM in the morning, and 2:30 to 5:30 PM in the evening. From December to February, safaris are organised from 7:00 to 11:00 AM in the morning, and 2:00 to 5:00 PM in the evening. Safari timings are also changed for the months from March to April. In the morning, you can enjoy safaris from 6:30 to 10:30 AM in the morning, and from 3:00 to 6:00 PM in the evening. From May to June, a safari can be enjoyed from 6:00 to 10:00 AM in the morning, and 3:30 to 6:30 PM in the evening. 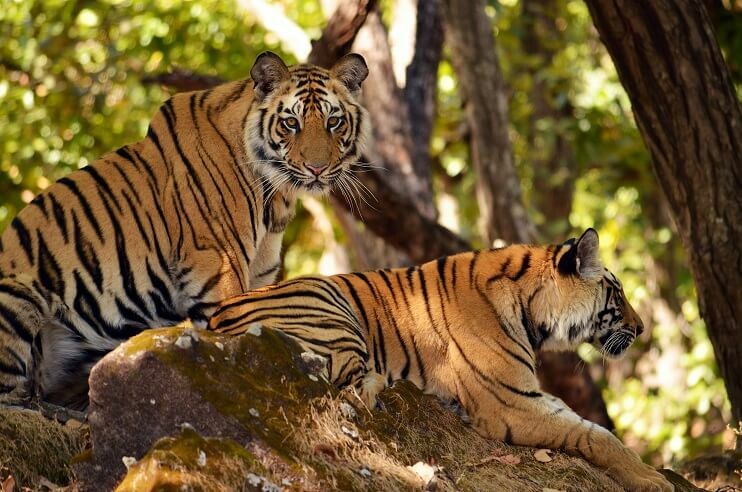 You can experience the magic that is Pench National Park with wildlife safari tour packages. Book your trip with us by choosing the best Pench wildlife tour and venture deep into the heart of the jungle, with nature’s sights and sounds as your only company. 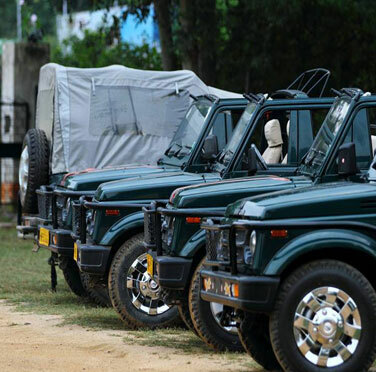 Plan a trip with your family or a loved one by opting from our brilliantly crafted Pench safari tours and enjoy a hassle-free trip with excellent accommodations. 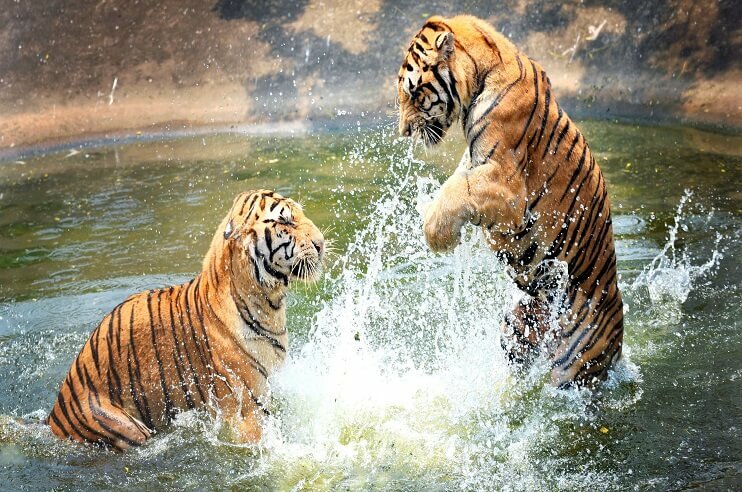 There are 8 zones in Pench National Park, of which, 2 lie in the Maharashtra side of the park. These are Sillari and Khursapar. The other 8 zones which are located in Pench National Park are Turia, Karmajhiri, Wolf Sanctuary, Rukhad, Jamtara and Teliya. 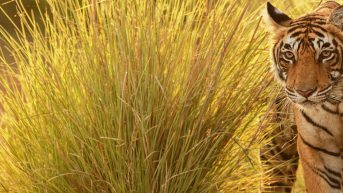 Of these zones, Turia provides the greatest opportunities for spotting of tigers. If you happen to be a bird lover, head to Khursapar zone, where you will find them in large numbers. The best time to visit Pench National Park depends on you and what kind of weather suits you best. 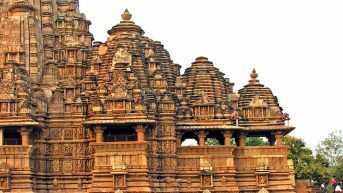 During winters, the weather is cool and pleasant, thus making your visit very pleasant. During summers, animals gather at the waterholes to quench their thirst, thereby greatly increasing your chances of spotting the wildlife. Visiting Pench National Park during summers has its own advantages. Although the heat can be bothersome, this is the time when animals visit the nearest waterhole to quench their thirst. The chances of spotting them, therefore, are very high. Winters is a great time for visiting Pench National Park and enjoying a safari. 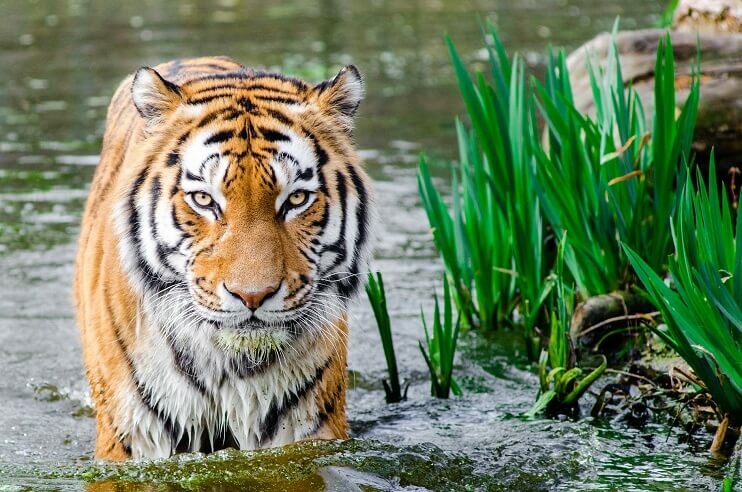 The weather, being cool and pleasant, creates just the right conditions for spotting animals. You cannot visit Pench National Park during monsoons as it is closed to visitors during this time. The nearest airport to Pench National Park is Sonegaon Airport (92 km). It operates flights to all the major cities in India. Pench National Park is connected to the city of Nagpur via NH 7. It is 2 hours drive away from Nagpur city. The nearest railway stations to Pench National Park is Nagpur Junction Railway Station (94 km) and Jabalpur Railway Station (204 km).